PASAY CITY, Philippines — More than a decade strong and still Kabayan Hotel Pasay continues to find ways to serve those who are looking forward to a pleasant and pocket-friendly hotel experience. 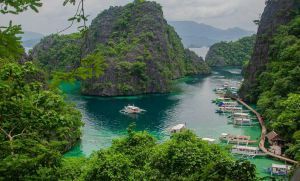 This time, the property is introducing the very first Kapsule pods in the country, benefiting tourists who demand a no-frills place while waiting for their flights or taking a break from their travels. The Kapsule is a unique accommodation that takes its cue from Japan’s inexpensive and popular overnight accommodations, inspired by the pursuit of space efficiency and functional comfort. And this product that originated from the creative mind of the Japanese can now be enjoyed in this hotel in Pasay City at an introductory price of PHP750 per night, inclusive of taxes and fees. This special rate, valid until September 30, 2013, also covers complimentary full breakfast. Kabayan Hotel Pasay currently houses a total of 42 pods, with each Kapsule room coming in 4-, 6-, 8-, 10-, or 12-pod configuration. 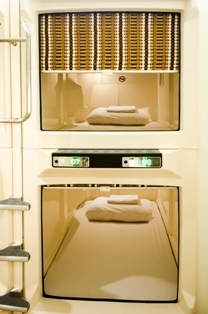 Only one person is allowed per pod, and the capsules for male and female guests are separated to ensure total privacy. This particular accommodation, however, is not applicable to children. Reserving a Kapsule pod can be made through http://www.kabayanhotel.com.ph/pasay.php. Guests just need to click on the “Check availability and prices to launch the booking system powered by DirectWithHotels. Here, they have to input their dates of stay in the virtual calendar, selected the number and type of Kapsule to book, and confirm the reservation by paying the required 10% deposit via credit card. Once guests have settled the prepayment, the system will send an email that confirms the booking. All transactions made through the website are protected by Trustwave and VeriSign. Owned and managed by the Legend Hotels International Corporation, Kabayan Hotel Pasay offers practical accommodations for travelers. 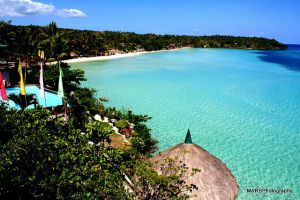 In addition to a range of reasonably priced rooms, it has excellent facilities and a friendly staff that attends to every guest’s need with warm Filipino hospitality. Moreover, this hotel in the Pasay Rotonda area is proximate to many key places in Metro Manila, such as SM Mall of Asia, Manila Ocean Park, Newport City, The Mind Museum, and the Makati CBD. It is also quite near the international and domestic airports.